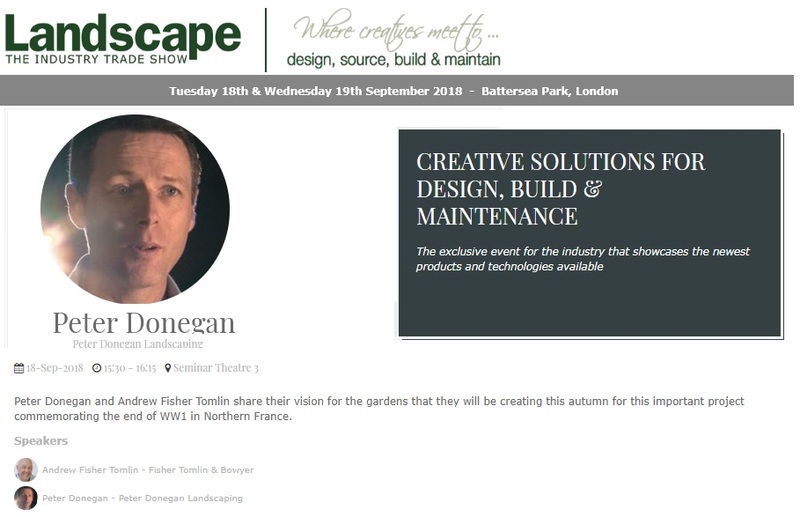 This September Peter Donegan will be speaking at the worlds annual Landscape Show, London 2018. Above (press play), speaking with award winning radio show host Gerry Kelly on The Late Lunch, LMFM. 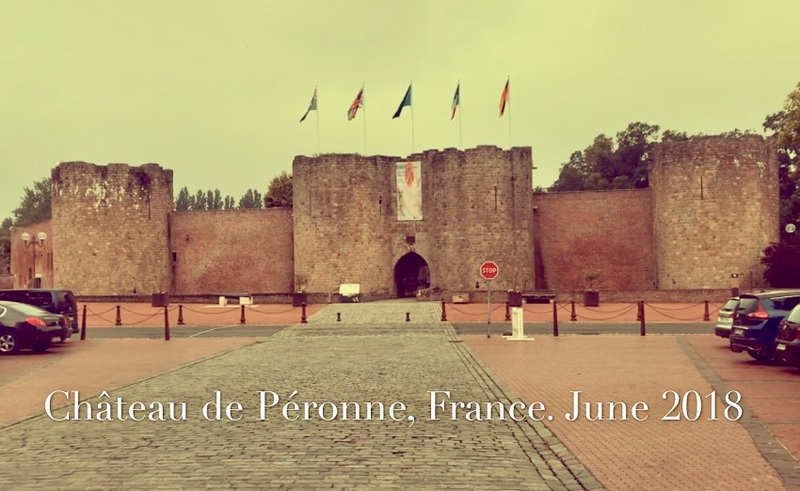 Peter was speaking with Gerry about the design and build of the garden of peace at Chateau de Peronne, better known to some as the Historial de la Grande Guerre, home to the largest World War Museum in Europe. 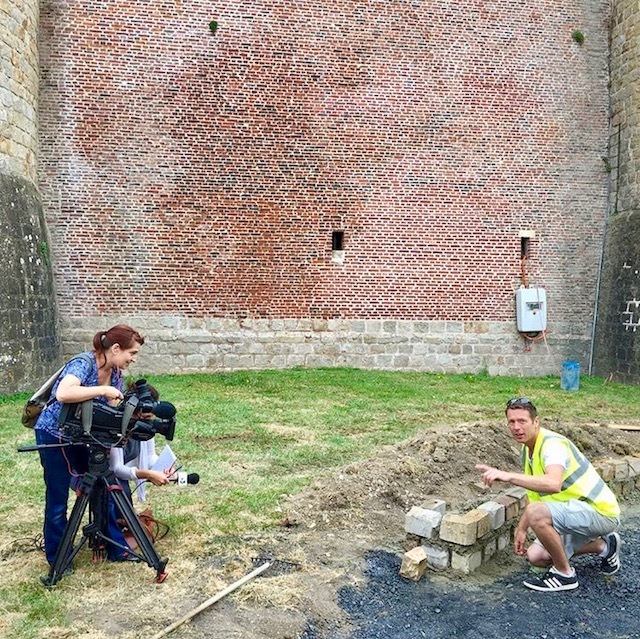 Above, France 3 TV recording with Peter Donegan in the moat of Chateau de Peronne, France. This article published in The Fingal Independent, July 28 2018 – French WWI garden to be built by Fingal man. A gardener and landscaper from Ballyboughal has been commissioned to oversee the creation of a special commemorative garden in France to remember all those who fell on French soil during World War I. Launching October 2018, this summer will commence the build of the Jardins de la Paix (Gardens of Peace), a series of perennial gardens on the theme of peace in the Hauts-de-France region to of France. Peter Donnegan (Donegan) in front of the garden plan that will be erected at the foot of the castle. We guess the location of the 4 towers and the bridge. For you, like me who has not the greatest abilities to translate, below a not perfect but enough to understand what was reported. A Garden of peace at the foot of the Historial de Péronne, at the beginning. The moats of the castle of Péronne will soon welcome a garden of peace on the theme of Ireland. 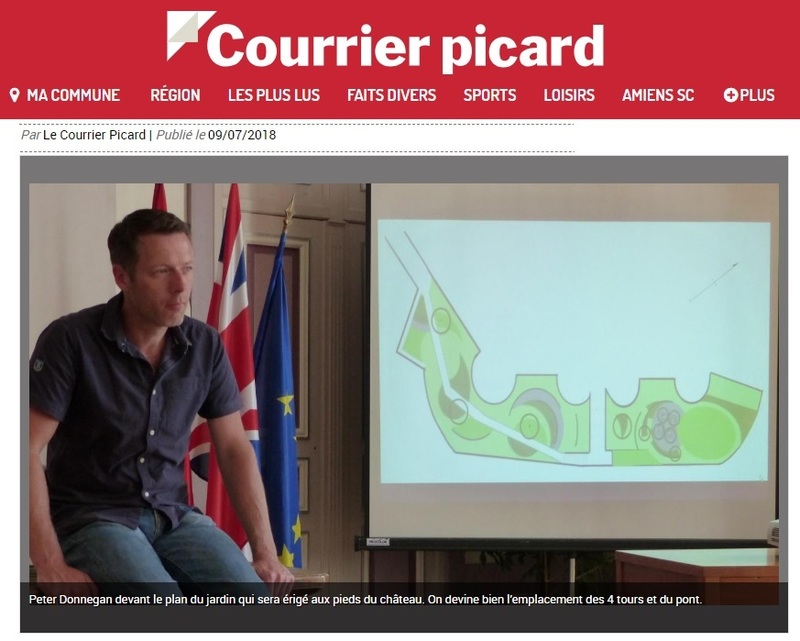 Launching October 2018, this summer will commence the build of the Jardins de la Paix (Gardens of Peace), a series of perennial gardens on the theme of peace in the Hauts-de-France region that will pay tribute to the countless deaths on French soil between 1914 and 1918, and bear witness to the number and diversity of the countries involved in this conflict. One of the gardens will be created at the Chateau de Perrone, Historial de la Grande Guerre in the Somme region of Northern France and will be created in the moat of the castle and its build realised by Dublin based garden designer Peter Donegan. Peter Donegan, selected by the French jury to represent Ireland is one of just 14 international garden designers chosen to create one of the 9 gardens. Below, a short video of where the garden will be created.